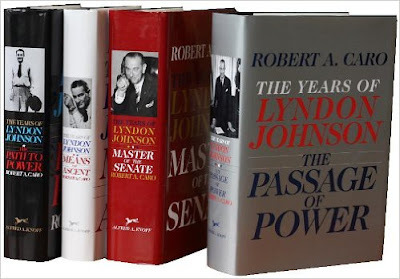 The Washington Times reports that Robert Caro will receive a National Book Award medal. I've enjoyed his biographies of President Lyndon Johnson, a despicable man and president, in my view, but Caro's books on him and his times are first class. I highly recommend them. The Johnson saga makes for interesting history. And 'tis better late than never for honoring Caro, a first-rate writer as I recall from reading one of the Johnson books. Have you also read the Sabato book on Kennedy? First rate stuff!